Peter France is in Essex with ecologist Graeme Underwood and the RSPB's Chris Tyas. Around 100,000 dark bellied brent geese head to Britain every winter to escape the extreme cold weather of their arctic breeding grounds in Russia. Britain is therefore an important wintering ground for these geese with many thousands heading to the Essex Marshes. But what brings them here and what are the management needs of this populated area of the South East coastal? 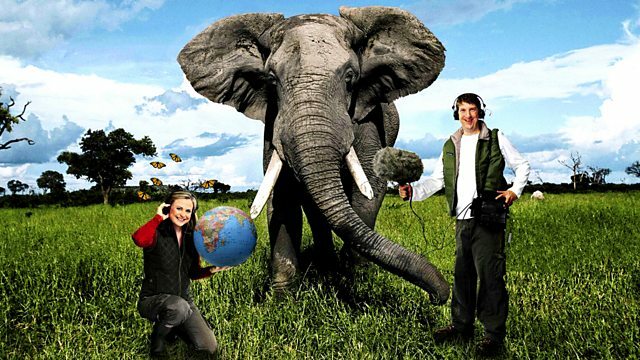 To find out for himself, as Brett Westwood introduces in this Living World episode first broadcast in 2005, Peter France heads over to the Essex coastline in the company of ecologist Graeme Underwood from Essex University and Chris Tyas from the RSPB. Overlooking the wide marginal landscape wedged between the sea and the land they discuss mudflats and difference between marine and freshwater marshes. An ever changing landscape that requires specific management with all the challenges of creating the best habitat for all plants and animals here, including the thousands of dark bellied brent geese, in front of them.